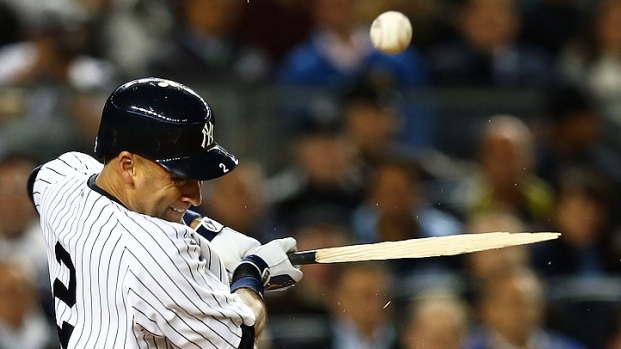 Derek Jeter is sure making waves in the New York City real estate market lately. The Post reports that the Yankees slugger was recently spotted scoping out Bob Vila's Madison Square Park penthouse, which theThis Old House host put on the market in May for $5.7 million. The third baseman's prospective new digs is located at 15 East 26th Street and includes two bedrooms, three bathrooms, and a private roof terrace. The slugger must be quite enamored with the penthouse because he allegedly visited (sans girlfriend Minka Kelly) the unit twice in recent days. $5.7M For "This Old House"
Jeter is already shacking up in a $15,000 per month two bedroom unit in the Trump World Tower, while he is looking for a buyer for his ritzy penthouse in the same East Side building. The penthouse, which has been on the market for $20 million since September 2010, features panoramic views of the city, sixteen feet floor-to-ceiling windows, and four bedrooms. 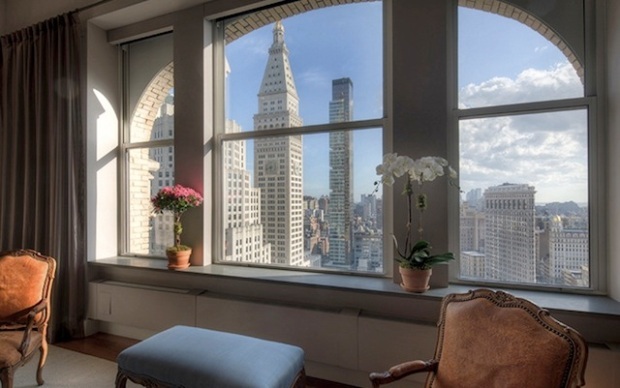 Click here to take a look inside the Madison Square Park penthouse. To tour Derek Jeter's current digs in the Trump World Tower, click here.